Nairobi, Kenya, May 26, 2014 -- /EPR NETWORK/ -- The migration has seen its ups and downs in the current past years, with some conservationist stating is abuse of wildlife privacy. Well, the county authorities have nothing much to do about it because they are making money. The myriads of visitors coming into Kenya in July and August are mostly attracted by the annual migration which is truly a wonder to see. In the conservancies definitely the wildlife is considered the king. The vehicles and lodges inside blend with the natural environment, there is s a lot of cohesion between the lodge owners the community and the wildlife, however not many international visitors know about these lodges, because they don't concentrate on mass tourists but on private, personal discreet tourist and probably why they charge a bit more higher than the rest of the lodges/ camps. Responsible tourism is emphasized in conservancies so that the surrounding communities that live near the wildlife greatly benefit in terms of being part of conservations and revenue growth and improved livelihoods. Our emphasis is on one camp known as the Olkeri Mara Camp located in the Siana Conservancy. 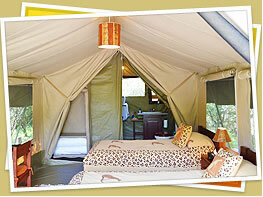 The Olkeri Mara Camp had 12 ensuite rooms; 10 standard and 2 deluxe. Accommodation is of the luxury type and personal service to ensure that all ones need is take care of. Olkeri can be fully booked by families or private parties with prices ranging from USD150 per person sharing in the low season to USD290 in the peak season for years 2014/2015. At Olkeri Mara the cuisine ranges from African, continental, Japanese and Italian � sweet savory Italian meals by Chef GABRIELLE Ballaroto. Game viewing from Olkeri is done in 4 wheel drives and once can feast their eyes on wildlife and birdlife. Night game viewing drives are available as well as hiking safaris. Visitors are encouraged to stay at least for 3 nights to maximize on what the Area has to offer on a typical drive in one if those days one can take a walking safari with an experienced Maasai guide from 4pm up to one of the sundowner point have some refreshments and then embark on a night game drive to arrive the camp at around 8.30pm for dinner and overnight. Cruzeiro-Safaris.com does offer packages to Olekeri Mara for 3 nights / 4days for middle and up market clientele. All prices depend on the season applicable. Please send a request to the sales department for more details. 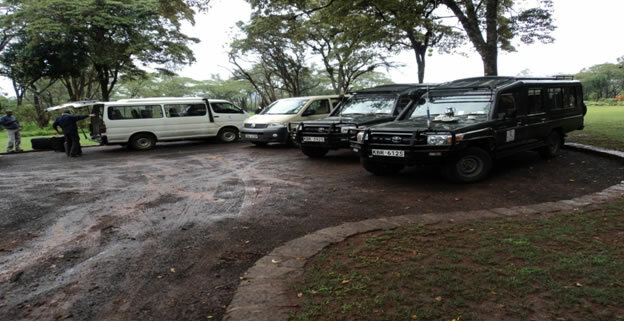 In their continuation to create awareness on safari products available cruzeiro-safaris.com can now easily book safaris for anyone to any Kenyan Safari, Rwanda Safari where you experience the Gorilla trekking safari and Tanzania Safari to the Ngorongoro Crater. For more details and assistance please contact the undersigned. 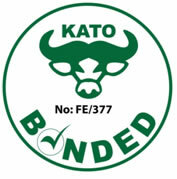 Cruzeiro-safaris.com is established in Kenya, incorporated in 2004. Its core business is safari packages and day tours complemented by air travel. It has a well established wealth of experience in arranging memorable tours and safaris and has established a client base that provides us with repeat business year after year. Join our Google+ follow us on facebook, twitter or YouTube. Comment on our blogspot.